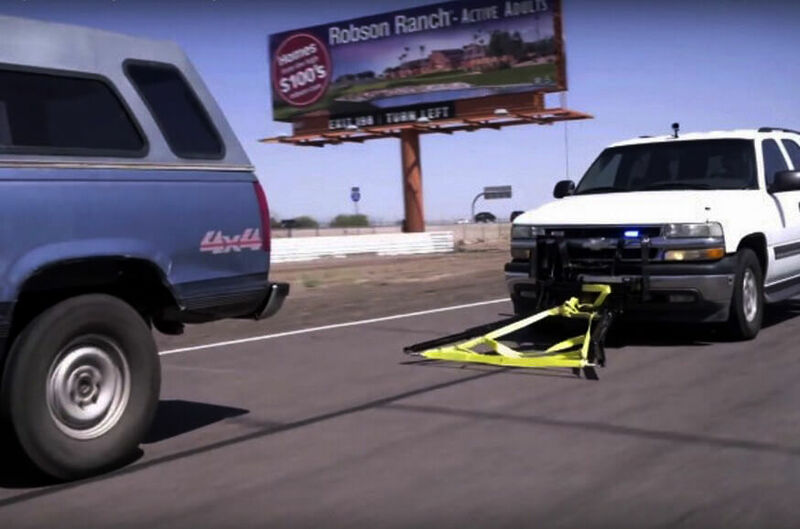 Grappler Police Bumper is a new invention that might be able to save the innocent when a high-speed police car chase takes place. Leonard Stock of Arizona is the one responsible for this inventions. The Grappler Police Bumper actually allows cops to remotely deploy a high-strength net from the front of their vehicle. The net then tangles up the other car’s wheel and stops them dead. All this, without doing anything to helpless people. The Grappler Police Bumper has 2 extending arms that fit in front of the bumper. As these two lower, the strong nylon web extends along them. All the cop has to do is drive the Grapple close enough to the rear wheel of the suspect. Then the net will be drawn around and up the rear axle and it will stop the vehicle. The Grappler Police Bumper is an absolutely fantastic creation. It could be of huge advantage for law enforcement. But, has it got any disadvantages or in other words, how safe is it? Stock says that he got the idea from watching a TV show about police chases. He was watching how an innocent motorist got hit during such a chase. According to Stock, the police have only a handful option when it comes to slowing a speeding suspect. This is his way of helping. He also adds that the one who is being chased have a lot of options. They can do a lot of harmful things to bystanders and the police car while trying to escape. The tactics of the police so far have led to more than 11,500 people in America since 1979. “That’s almost one person a day” adds Stock. 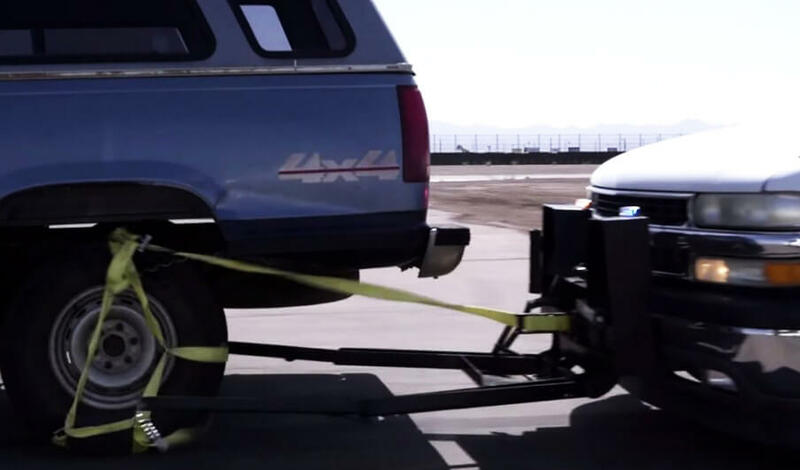 That’s why his Grappler Police Bumper offer a simple but, technologically complex solution. Check it out! One Of The Craziest Motorcycle Crews Out There – The Adrenaline Crew 4!! House Captains take this miniature AC Cobra for a time race! Volvo terror, the tractor that drifts, makes donuts and burnouts! Torque Multiplier Lug Wrench With 1:78 Ratio – Amazing!! Tom Meents and Maximum Destruction do a front flip at Monster Jam 2015! !